We're still waiting for planning consent to start the building works on the new premises, with a decision expected in early January. 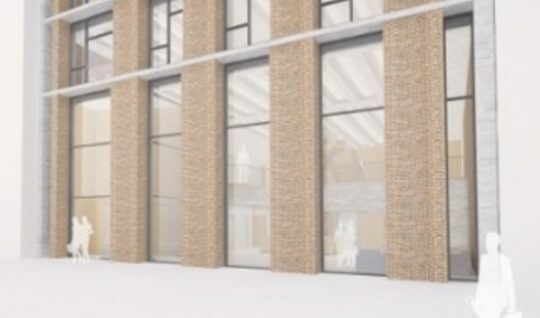 In the meantime the architects Bennetts Associates have developed detailed plans of the building, including a video that illustrates what the main areas will look like. Our architects have created a video simulation which provides a preview of the new RCPath building in Alie Street. In the last blog I described the ground floor, which will house the reception area and members' room. There will be stairs to the first floor, with a large breakout space and 200-seat lecture theatre. To enable the lecture theatre to be used for multiple purposes, including dinners and exhibitions, it was decided not to have tiered seating but to raise the stage at the front and install additional monitors at the side of the room so that everyone has a good view. Stairs just outside the lecture theatre will take members to the second floor, where there are flexible meeting rooms and more breakout space, giving plenty of room for catering and small meetings. The third and fourth floors will be office space for the College's staff. There will be small offices at the periphery of the floor but the majority of the space will be open plan. There is a three-story atrium towards the back of the building from floors three to five, which allows light to reach the centre of the building. The fifth floor will be rented until the College needs the space. The sixth floor consists of a large room, which can be used for Council meetings, smaller dinners and receptions. This space can be divided into three smaller meeting rooms as required. There will be roof terraces at the front and back of the sixth floor, giving views over London to the north and south. The next blog will be in the new year, when I hope to be able to report on the granting of planning permission and be able to set out the programme of building work and a timescale for completion. The College is in the process of moving premises to Alie Street. Read all the latest developments here.